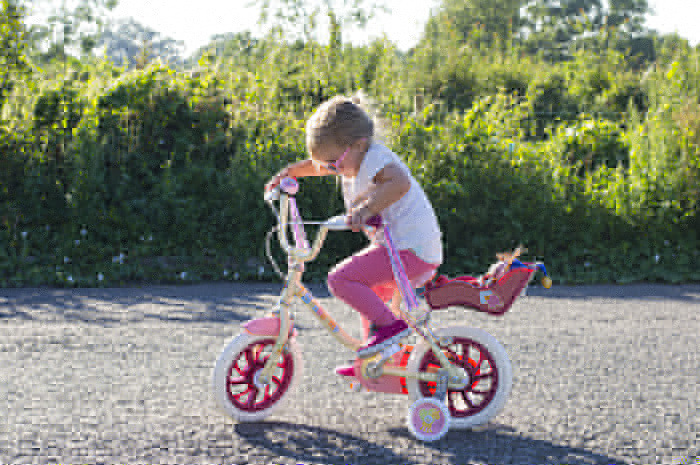 Do you know how to teach a child to ride a bike?! Yep I’m afraid if you have landed on this post hoping it will provide you with the answers then you are going to be disappointed because I don’t have any. I just assumed that when kids got on bikes for the first time they would know how to ride them. Cherry knows how to pedal, just not in the way she actually needs to. She likes to pedal BACKWARDS while Mr C pushes her FORWARDS. Mr C has even tried to ride it to show her how to do it but all that happens is she gets on afterwards and starts pedalling backwards again resulting in us shouting ‘WRONG WAY, PEDAL FORWARDS! !’ – in a ‘this isn’t stressful at all’ type way. We have had a little bit of progress and she can now pedal about a quarter of the way round forwards so I guess it will just be a question of practice and letting her do it in her own time, it will probably happen when we aren’t actually stood there waiting for it. Luckily she isn’t at all put off by her lack of bike riding skills and even insisted on us taking her to the skate park! So it turns out it’s not that easy to teach a child to ride a bike, and this one has stabilizers! I can still remember my first bike, it was red and no-where near as cool as this one. Mine didn’t have a seat for Noddy, nor did it have ribbons dangling from the handlebars! I did however love it. 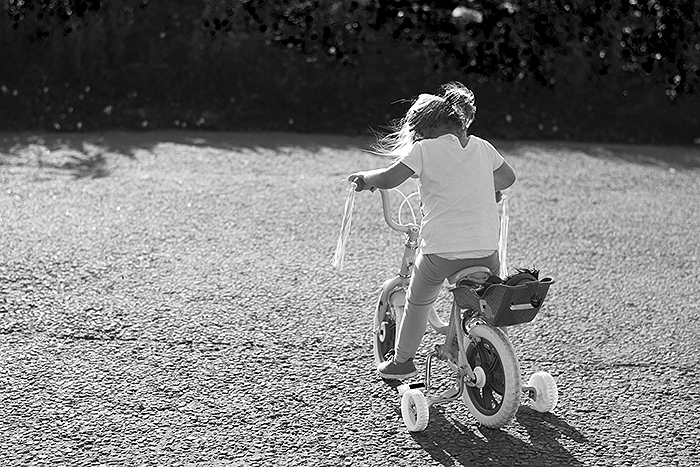 I can still remember my dad teaching me to ride it without the stabilisers, although I am already dreading that stage with Cherry as if it’s this hard to teach her to ride with them then what’s it going to be like to teach her to ride without them?! And if you do have any tips on how to teach a child to ride a bike?! Thank you to Bambino Direct who provided us with this bike in order for us to write this post. They sell a huge range of baby products including cots, car seats, baby monitors and Bumbo seats which J has been putting to the test over the last few weeks. It will be getting a little mention in his Little Man At Five Months post coming up later in the week.